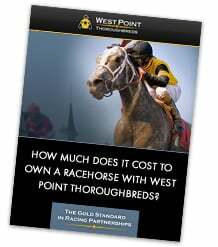 How Much Does It Cost to Own A Racehorse With A Thoroughbred Partnership? Submit your name and email to view the FAQs on our site. Plus, we'll email you info about ownership you can review at your own pace. Education is a huge part of our ownership experience!